Jonesboro Economical Transportation System is experiencing a telephone outage that has left riders without means to contact JET by telephone. The outage is expected to last until mid-afternoon today. Many riders depend on JET for transportation to doctor appointments and necessary personal needs. While the phone system is down, riders are encouraged to find email access to contact JET ADA coordinator Jeff Manskar at jmansker@jonesboro.org or JET transit director Steve Ewart at sewart@jonesboro.org. They can coordinate rides to critical appointments while the phone service is down. 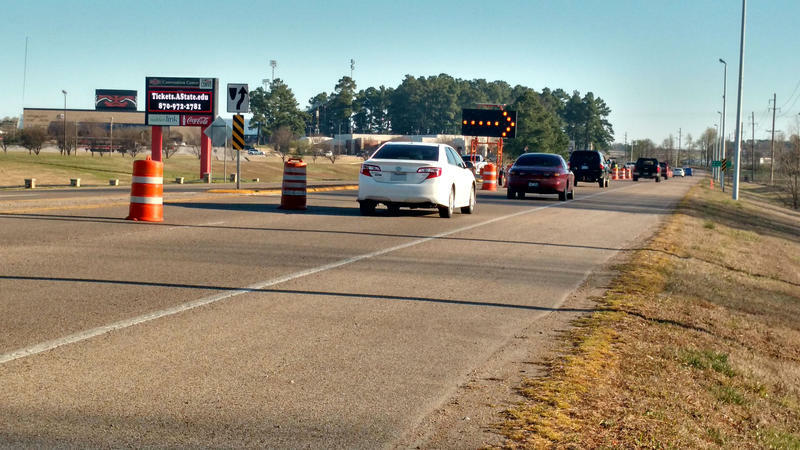 Road work continues this week on Red Wolf Blvd between Johnson and Aggie. On Tueday, the inside southbound lane and both northbound lanes are open. The outside southbound lane is closed as construction begins to create a 200-foot deceleration lane for right turns on to Alumni Blvd. Last week, crews worked to remove the median and create a turning lane. City officials say the project which was estimated to take 2 weeks is now ahead of schedule.